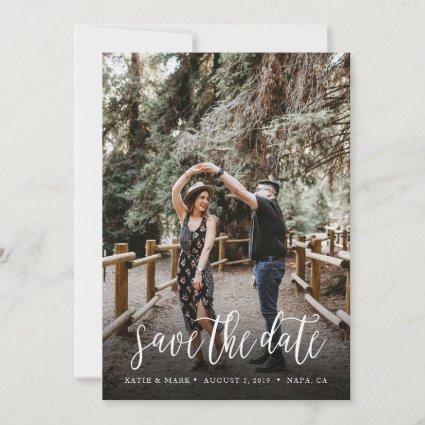 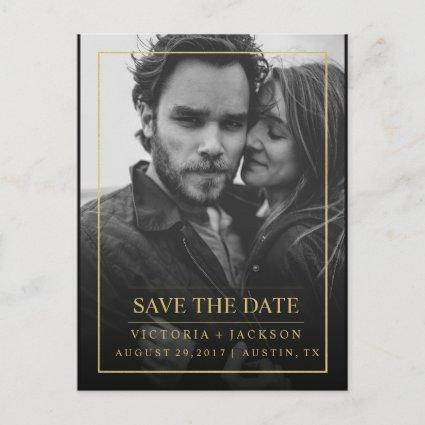 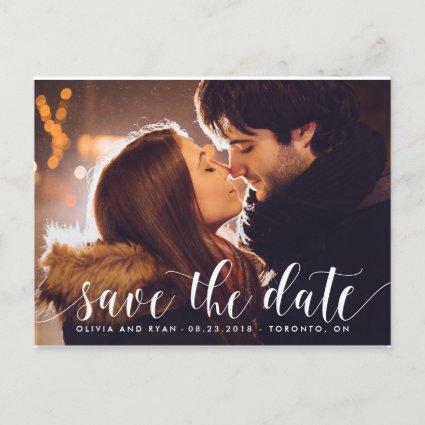 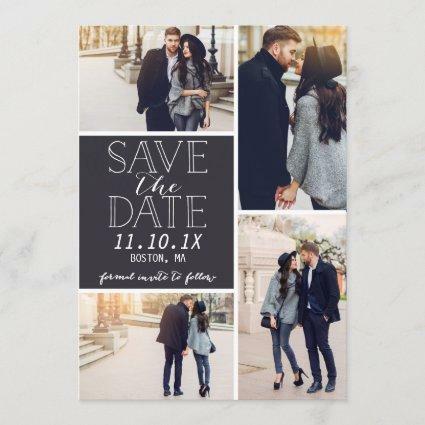 Modern Photo Save the Date Postcards. 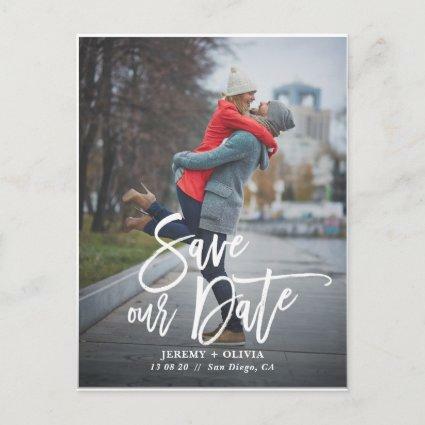 Bold white typography text overlay trendy design with your engagement date. 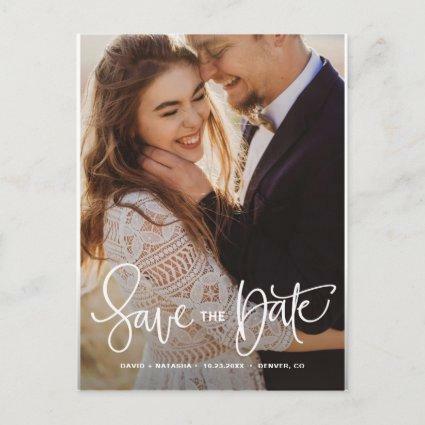 Elke Clarke&#;. 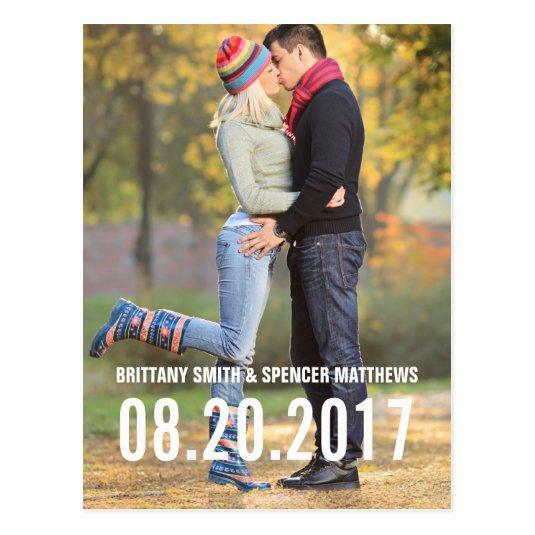 Replace sample with your own engagement photo. 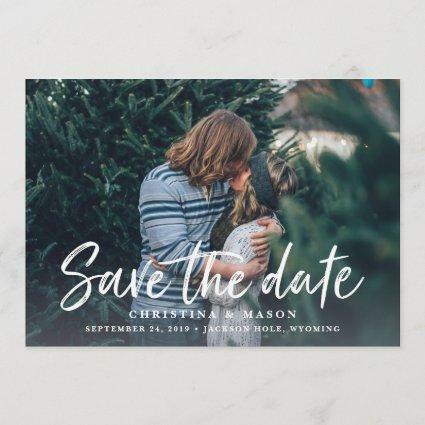 Add your wedding date, names and location. 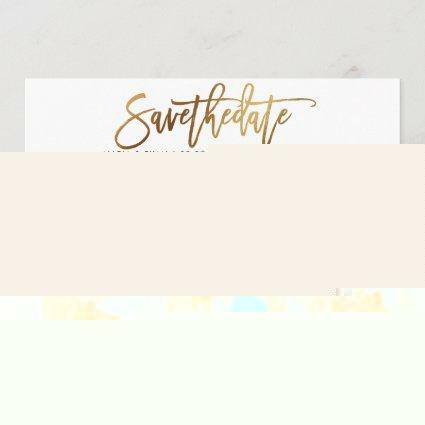 Use the prompts or select "customize it" for more editing options and to change colors of the text.